We all love to roam around and plan trips in our free time. A good trip is necessary for a break from our monotonous routine. But planning a good trip isn’t easy there is a lot of stuff to be kept in mind. One important part of a trip is transport. If our destination is far away it’s not easy to arrange a Minibus Hire Service on a short notice. Well, we are here to end your worries! We provide the Best Transport Services in London. You can hire a minibus for yourself and have an amazing trip! We provide the best services so you can hire a minus from Upminister to London. We also offer Airport Transfer Services, which are safe and reliable so book your minibus or taxi to and from Upminister to London City Airport, Gatwick, Stansted, Heathrow and Luton airport. You can count on our skilled drivers to take you to your destination safely. Our minibuses are in outstanding condition, they are well maintained, clean and have comfortable seats. Long trips can tire you a lot, since a long journey is exhausting and drains your energy. But don’t worry, our minibuses are very comfortable. They won’t tire you at all and keep you in high spirits. We also have our minibuses equipped with stuff to keep you entertained. The luxurious minibuses have audio, video systems installed. We also have charging ports to keep your phones charged. So rest assured! This journey will be a memorable one. 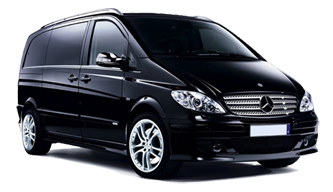 For the convenience of our clients we have all types of minibuses available. You can hire a 7 seater, 8 seater, 9 seater, 12 Seater Minibus, 14 seater, 16 seater minibus as per your requirement. You can contact us for minibuses for family, school or official trips. We have minibuses for everyone and every trip. Even if it’s a trip to the London Beach, museum, concert or meeting, you can count on us for an amazing service. With us you wouldn’t have to worry about money either. Our fares are very affordable and you can Hire a Cheap Taxi. Even if the fare is less, there’s no compromise with service. The staff is very skilled and cooperative. They are there to help you in any way possible. Also the drivers are well trained and experienced. You can hire a minibus any time you want, our services are available 24 hours. For the finest service there is contact us at 02034755518 to book a minibus. We also have online booking service available!